Simon & Schuster Books for Young Readers, 9780689832529, 32pp. Inspired by the countless young people who took a stand against the forces of injustice, two Coretta Scott King Honorees, Angela Johnson and Eric Velasquez, offer a stirring yet jubilant glimpse of the youth involvement that played an invaluable role in the Civil Rights movement. 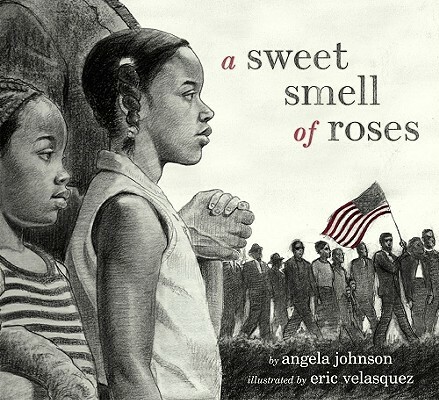 "The pervasive smell of roses is an effective metaphor for the scent of freedom in the air, and Johnson's poetic text is powerful."